'All About That Bass' hitmaker Meghan Trainor is channeling her energy into dance lessons after being left unable to talk or sing after suffering another vocal haemorrhage. 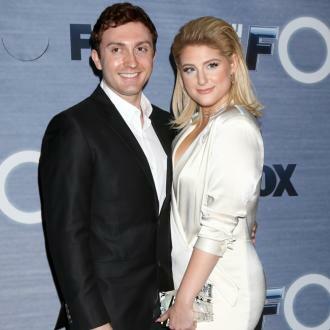 Meghan Trainor is taking dance lessons. The 'All About That Bass' hitmaker has been left unable to talk or sing after suffering another vocal haemorrhage and is channelling her energy into dancing. The 21-year-old beauty recently revealed she will have to undergo vocal surgery to fix her haemorrhage ''once and for all''. She wrote at the time: ''To all my fans - I was being careful and taking precautions, but I have hemorrhaged my vocal cord again. I got bronchitis & have been coughing a lot & that pushed it over the edge.